Kimmy and Julie :: Family Journal » Blog Archive » Happy Mid-Autumn! 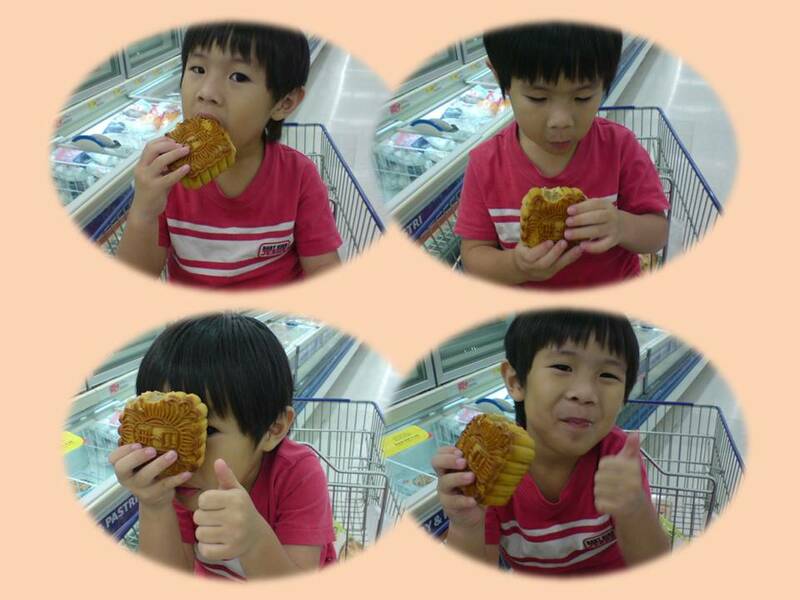 This year, Jonathan knows how to enjoy eating mooncake. We were in Tesco one night. I took a piece of mooncake for him to try. He fell in love with it since then. He asked for another piece. Seeing his happy face, I bought one mooncake. He just can’t wait to eat it and forced me to open it there and then. He just wouldn’t listen when I told him that we need to pay money first and we have to cut it. Oklar…I gave in to him. And this is how he wants to eat his mooncake. He finished up the whole mooncake? 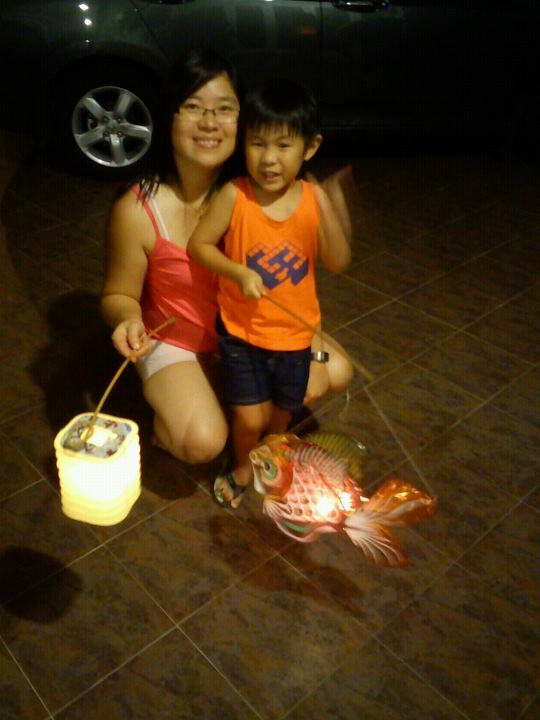 So here wishing everyone, a Happy and Joyous Mid-Autumn. Enjoy yourself with your love ones. This entry was posted on Sunday, September 11th, 2011 at 11:55 pm and is filed under Family News, Jonathan. You can follow any responses to this entry through the RSS 2.0 feed. You can leave a response, or trackback from your own site. Hope it’s not too late to wish you & family a Happy Mooncake Festival! Happy belated Mid-Autum to you …. how’s life?? 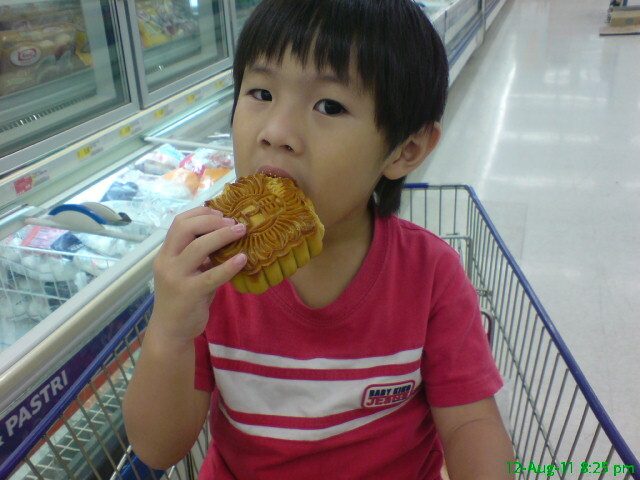 @[email protected] Look at the way he eats the mooncake! haha.. ethan will force me to cut into small pieces before he’ll even touch them!